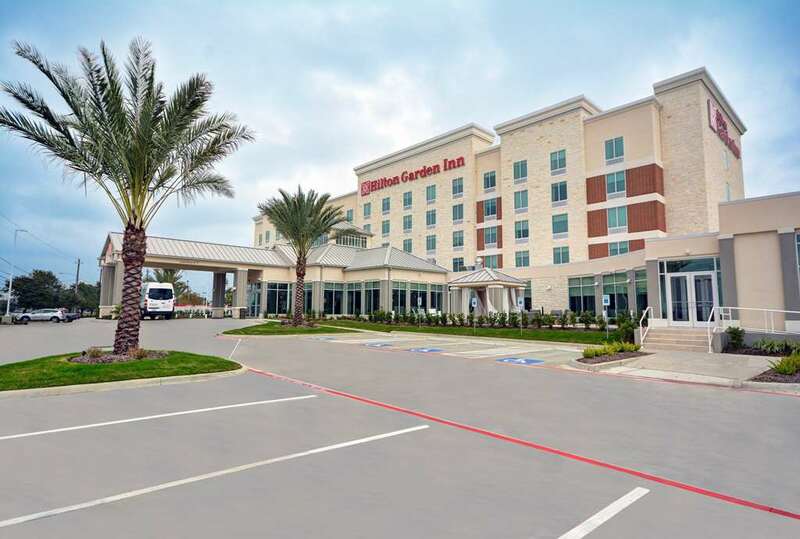 Hilton Garden Inn Houston Hobby Airport is a stylish convenient base for your travels in Houston. We*re just 1 mile from William P. Hobby Airport /HOU/ and within easy reach of BP ExxonMobil Siemens and Washington Mutual offices. Check out downtown Houston Rice University NASA Johnson Space Center or the Houston Zoo while you*re here all within 20 minutes of the hotel or make it a day and head for beautiful Galveston Island less than an hour*s drive. Join us for cooked-to-order breakfast in The Garden Grille - Bar or unwind with an evening cocktail in the Pavilion Lounge. We have busy days covered with Evening Room Service every night and a 24-hour Pavilion Pantry. Feel energized and stay productive away from home with the hotel*s complimentary fitness center outdoor pool and 24-hour Business Center. Meet with colleagues in the boardroom or host receptions in our elegant ballroom. Open 24 hours The Garden Market features a variety of grab-and-go snacks sandwiches salads and beverages as well as an assortment of packaged items you can prepare in the microwave in your room. Family-run eatery offering fajitas margaritas - house made tortillas in a Spanish-tiled cottage. Spacious restaurant serving traditional Chinese - Pan-Asian cuisine in a relaxed modern setting. Longtime strip-mall lunch spot specializing in po* boys burgers - cheesesteaks.